^ “Mogambo Amrish Puri lives on: A tribute”. Hindustan Times. 11-01-2010. 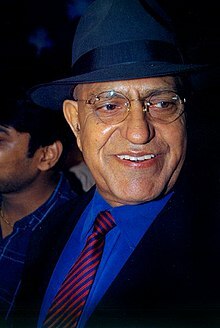 ^ “Amrish Puri: India's great villain of popular cinema”. The Guardian. 17-01-2005. ^ “Amridh Puri: Obituary”. The Telegraph. 03-02-2005. ^ “Bollywood star Amrish Puri dies”. BBC. 12-01-2015.